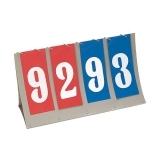 Keep track of any game with the Champion Sports Deluxe Tabletop Scorer and its large easy-to-read numbers that score from 0 up to 200. This unit folds flat for easy storage. 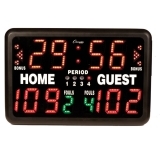 Keep track of the game with the Champion Sports Deluxe Tabletop Scorer. 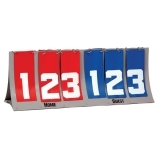 This all purpose scorer features non-tearing white plastic numbers on a heavy plastic board, with a center possession indicator. 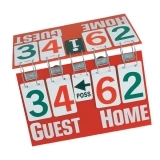 Extra suction cups keep this scorer in place! 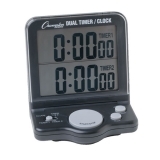 Keep track of two events simultaneously with this powerful Champion Sports Dual Timer. This unit features a precise 24-hour countdown/count-up timer with 1-second resolution and buzzer, all on a dual jumbo one inch display! 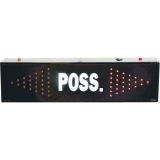 The hinged base allows tabletop or wall-mounted use.